The rising attention and benefits that videos are churning; you shouldn’t be leaving any stone unturned in integrating attractive videos to your website. 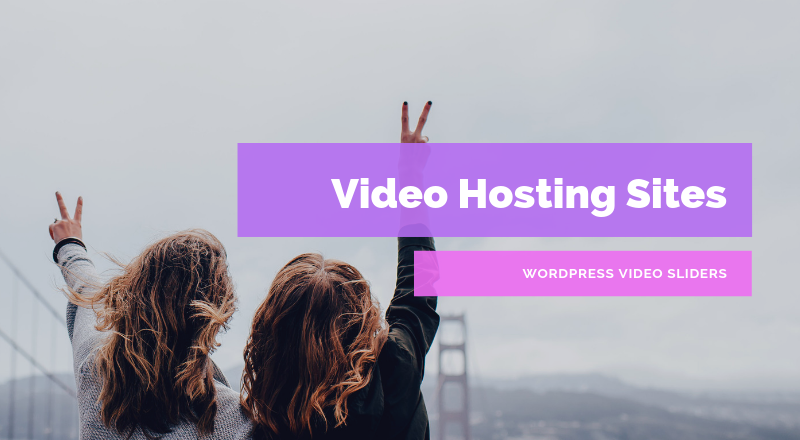 However, after you’ve invested your time, effort, money, and sweat in developing videos, discovering the best video hosting sites is another objective that you’d have to achieve to avail the benefits of video marketing or putting up video sliders. If confused or in a dilemma, here are some of the best options that you can consider to host your videos, attract an audience, and increase your revenue substantially. Vimeo could be your perfect online video hosting platform, which is quite similar to YouTube in several ways. However, it comprises several different additional features for social sharing, in contrast with YouTube. One of the best things about this platform is that it provides unlimited bandwidth to all of the videos that you’re going to host over it. If you’ve got a premium plan, you can seamlessly enjoy the ad-free display. Not just Vimeo lets you protect videos through a password, but you can also redirect your viewers towards relevant links or videos at the end of it. There are other useful features of this hosting platform as well that can bring you more exposure through a wide range of audience. Amidst advanced functionality, you can enjoy social media integration, Google Analytics, and more. Vimeo offers a 30-days free trial that you can use to understand the basics of this platform. Other than this, there are different premium plans available that start from $7/month and go up to $75/month. You can choose the one according to your requirements. If you’re looking for a kind of platform that would provide YouTube-like features, then Dailymotion can be your best bet. This one comes with a ton of options that can help you create different channels so as to establish your business brand and earn money from videos. You can also set featured videos and add links inside that’d redirect your viewers to either your social media profiles or business website. Furthermore, Dailymotion also makes editing easier, and you wouldn’t even have to face any hassles while live streaming. Its simple drag and drop functionality allows you to upload entire playlists and multiple videos at once. It can be really useful features for creating video sliders. Since the interface of this platform matches a bit with YouTube, you can add tags, titles, and descriptions to your videos. Not just that, you can also enable comments for your audience. As such, this platform is free to use. So, if you don’t have any problems with restrictions, you can go with Dailymotion. Wistia is one of the most considerable video hosting platforms that you can ponder upon for your business requirements. The interface of this platform is quite organized and provides a fantastic way to customize and upload videos. Wistia lets you do several other things when it comes to obtaining viewers for videos, such as adding custom thumbnails, sending emails, shouting out on social media. Not only that, but you can also integrate other marketing tools, set privacy options, and password protects your videos. What gives Wistia an upper-hand is their ability to collect leads from engaged viewers and the availability of detailed heatmaps for improved analytics. Additionally, if you choose a premium plan, you can get an extensive list of features for your videos. You can begin uploading on Wistia without paying any price. However, that would be limited to three videos. Moreover, the free upload will also come with branding and advertising of Wistia. To eradicate that, you can go for the paid plan that starts from $99/month and allows you to upload ten videos maximum. For every additional video after that, you’d have to pay $0.25/month. Another substantial option for you is Vidyard. One thing that makes this platform reliable is the extremely professional services of Vidyard. Backed by powerful tools for marketing, you have a better chance to make your videos stand apart. This feature-rich platform also lets you upload videos quickly that’d play instantly on one click. Moreover, navigation is pretty smooth with Vidyard as well. You can effortlessly send video data to third-party apps and services to enhance customer engagement as well as analysis. If you wish to viral your videos, Vidyard supports you tremendously by allowing you to integrate social media accounts. Here, you can also have an extensive list of customizable unbranded video players that let your audience filter videos based on country, player, video type, and other metrics. Vidyard isn’t an inexpensive platform. It comprises different packages to meet your diverse needs. Their packages are listed at a minimum price of $150/month and the maximum price of $2000/month. If you want a customized package, you can talk to their team and get it done. Although not completely, however, Facebook could be one of the YouTube-like websites in certain ways. 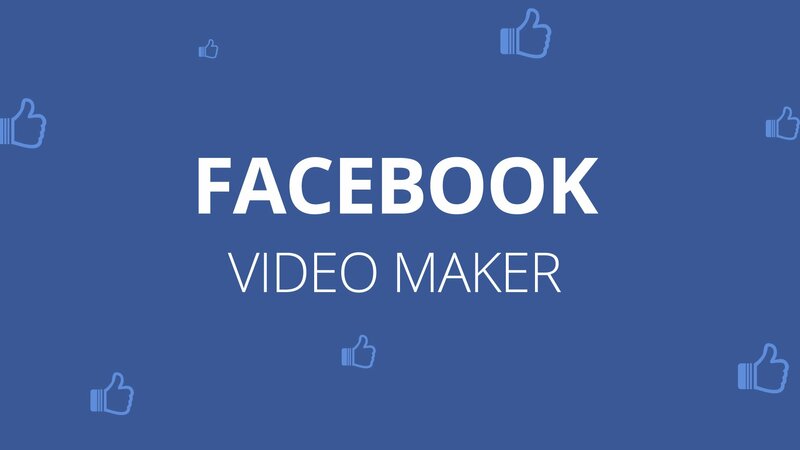 Over the past few years, this social media platform has grown tremendously in terms of video interests. And, there’s even an air about Facebook taking over YouTube in the coming future. Just like YouTube, you can host videos here without paying anything, and you can also access a basic dashboard to keep a tab over analytics. 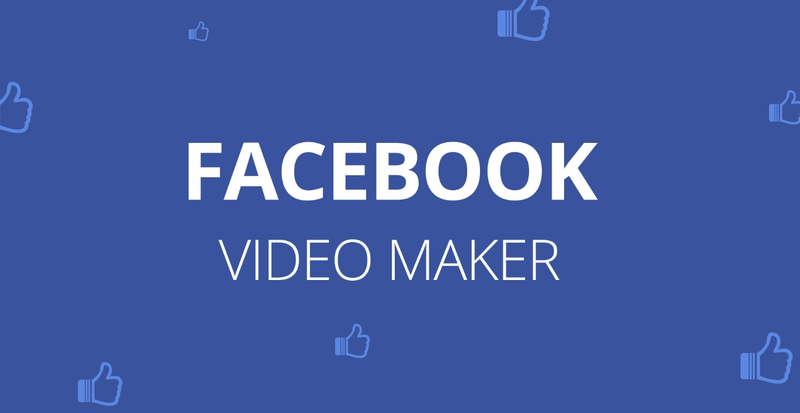 If you wish to embed your Facebook videos to the website, you can seamlessly do so as well. On Facebook, videos tend to play by default without the need of turning on the volume. So, if you’re choosing this platform, make sure that your videos can be understood without the background sound. For this, you can provide subtitles on your videos. You can upload videos on Facebook without paying anything. However, if you want better exposure, you’d have to invest over campaigns, the price of which would vary, depending upon your requirements. 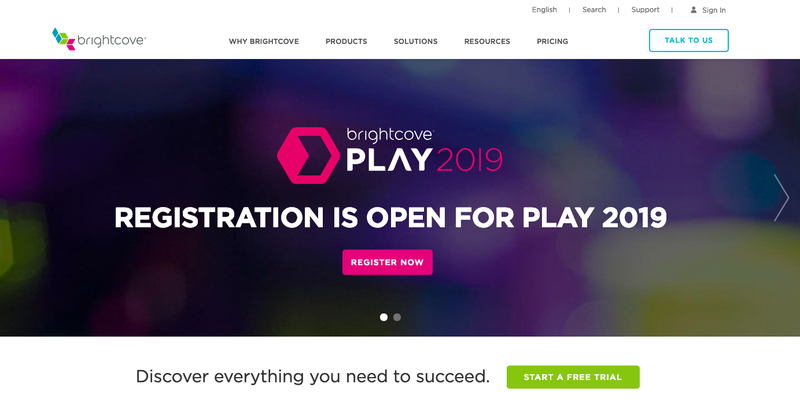 Brightcove is one extremely well-recognized platform across the world. So much so that even the top companies, like BBC, Dunkin’ Donuts, Ford, and more haven’t stepped aside from using it. Thus, if you use Brightcove, you can be in good hands. The entire focus of this brand is upon assisting users when it comes to increasing their overall revenue through videos, thanks to their subscription-based and ad integration business model. Not just that, but it also boasts about its HTML5 player and vigorous live-stream functionality. In addition to that, this platform also allows you to integrate different types of marketing automation platforms and CRM, like Wirewax, HubSpot, Hapyak, and much more. So, if you wish to make a satisfactory revenue from your videos, you can choose this platform. This one is a very viable platform that you can use not just to host your videos but organize and manage them as well. Vzaar allows you to segregate videos based on different things, like playlists, labels, and categories. This specific platform also comes with a completely customizable platform, functionality to add email capture forms to videos, and advertising proficiency. Therefore, experiencing a striking increase in the conversion rate with this platform wouldn’t be a tough task. In addition, Vzaar can also be integrated with Google Analytics to enhance the analytics of your videos consistently. There’s also a unique video playability index that provides a rating to your videos out of 1000, which is the higher score. As far as pricing is concerned, this platform provides four different packages that start from $99/month. Just as the name suggests, Sprout Video is a platform that’s completely dedicated to letting the users experience growth. Even if you’re new to the game, the website is incredibly easy to use and navigate through. Whether you wish to use this platform for your personal reasons or have a massive team of employees, Sprout Video knows how to cater to diverse requirements and demands. It offers an extensive list of features, competent enough to provide a satisfactory experience. You can collaborate with your team and take care of the content that you upload and display to your audience. And then, it’s a reliable private video hosting website as well, thanks to its security features that include password protection, login protection, and single sign-on. Sprout Videos provide a 30-days free trial that you can use to assess whether the platform is worth investing or not. After that, it gives three different packages, ranging $59.99. $199.99, and $499.99 per month respectively. JW Player is the next substantial option to use when it comes to hosting videos online. This one claims to have a reliable and fastest video rendering system. For ad-supported video, JW Player provides a monetization option. Therefore, you also earn seamlessly from your videos. The site’s intelligent video recommendations make the user-experience even more enthralling. By turning on this option, you can obtain 20% more advertising revenue and 45% more plays on the video. In this way, growing the audience wouldn’t be a tough option. As far as the pricing goes, JW Player provides a free trial for six months. And then, their starter package comes at $10/month. If you want something more, you can get in touch with their customer support team and get a custom pricing package. Last but not least, Cincopa is a platform that stands apart from other options, thanks to the set of features that it offers. With this one platform, you can experience an extensive range of attractive features that can be used by a beginner as well. Easy to upload, manage and organize videos, this platform makes it easier for you to keep the media content safe. You can also quickly upload multiple videos to save time and efforts. Cincopa also makes it easier to embed videos to your website. When it comes to using this platform, you can join it for free. But, that would be restricted to 3 videos. If you have more requirements, you can go with their premium packages that would cost you $25/month to start with. You can also get your package customized. There you have it. Considering how videos are obtaining more users’ attention, there’d be no other way than to make the best use of this media type. So, if you’re ready to integrate a slideshow on your website, pay heed to these video hosting sites. Know more about their features and choose the best option for your business.